At last, we’ve taken some photos of our newest creations which are all for sale now in our Etsy shop! 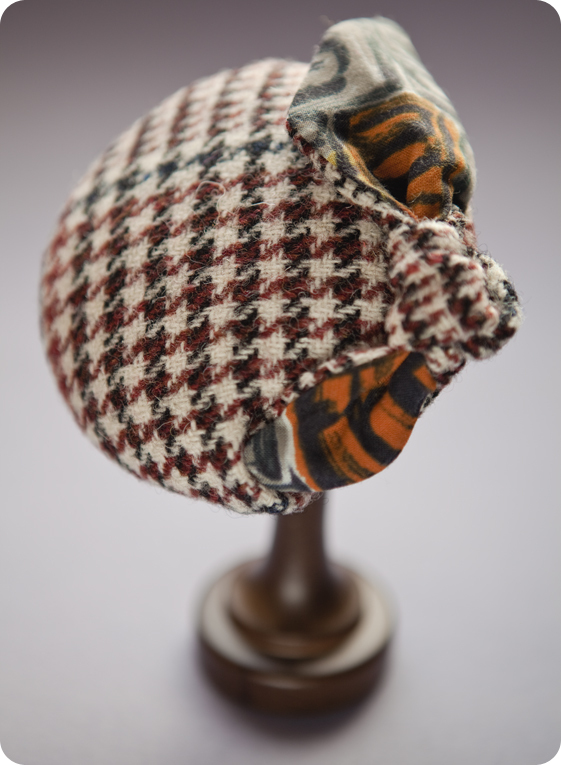 We’ve made lots of new collars and a few Harris tweed hats, but there will be more arriving shortly – we keep selling them before they get to the shop! Please don’t forget that we are happy to take custom orders for hats or collars if a specific colour or fabric is required. We will finally be listing some Tallula ankle spats soon…lots of people have been asking for them…apologies for being so slow! New deliveries in store now! Check out our online shop…we’ve been jolly busy designing and making and added lots of new things! New hat styles include the Leonora and the Lee. 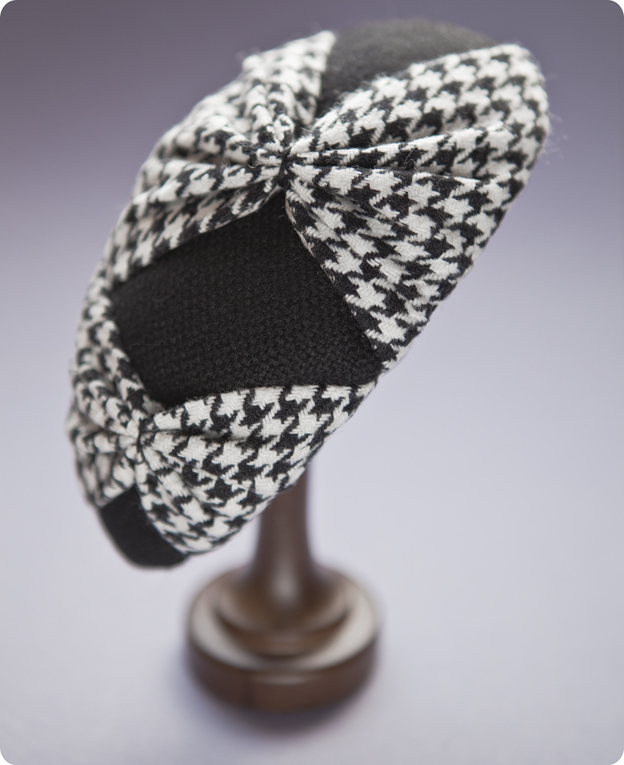 We seem to be having a monochrome moment but we’ve also added some gorgeous new harris tweed Mamies. 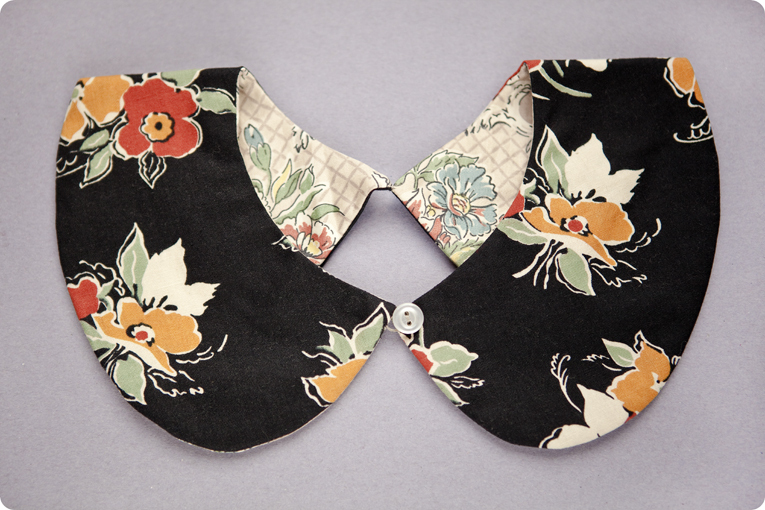 We’ve also added lots more Peter Pan collars – we can’t make enough of them at the moment and, don’t forget, ours are reversible so double the fun! We are developing a new collar, the Wendy, to wear with lower necklines and will list some brand new Tallulah ankle spats soon! Feel free to pop by…toodle pip! Here at Strumpet HQ we’ve been adding pretty collars to our tight sweaters for some time and it looks like the fashion world has caught up with us! So stay ahead of the pack this summer and bag yourself one of our Peter Pans now! 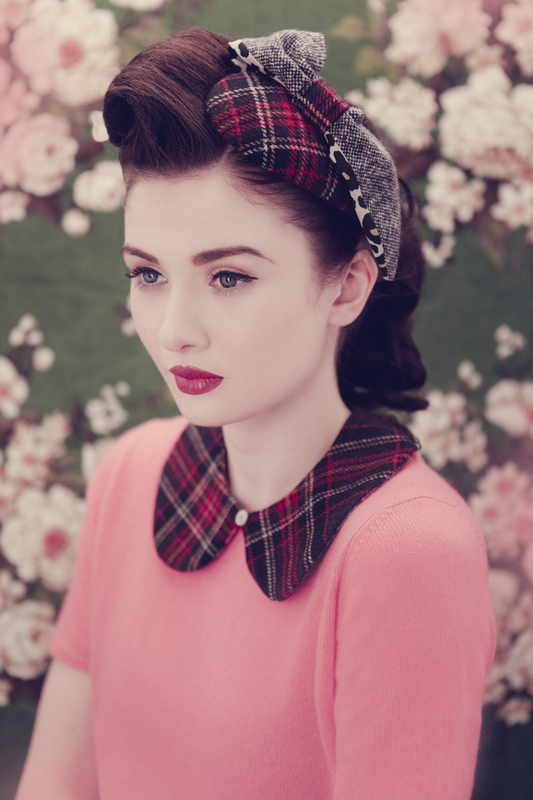 Ours are reversible and made from beautiful vintage fabrics. 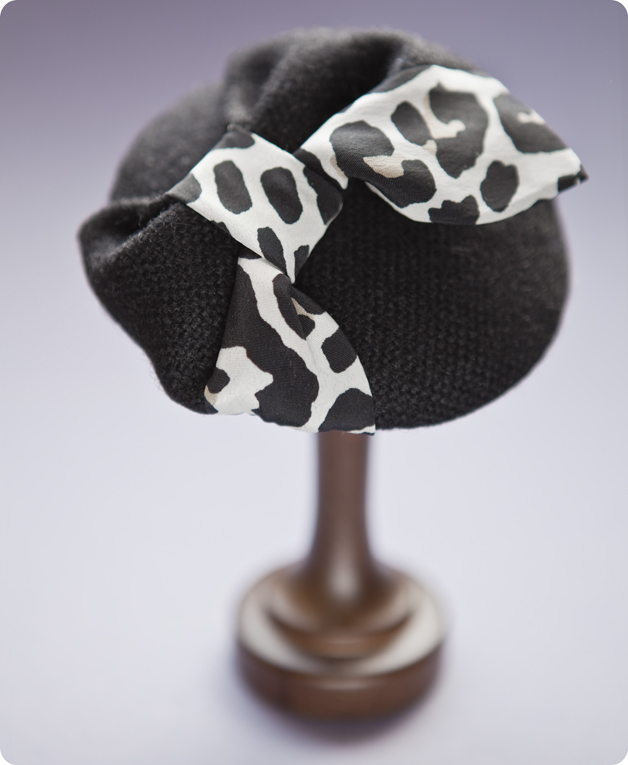 We can make them to match any of our hats – make a ridiculously pretty statement! We know it’s barely been summer yet but already our thoughts are turning to (whisper it) autumn. 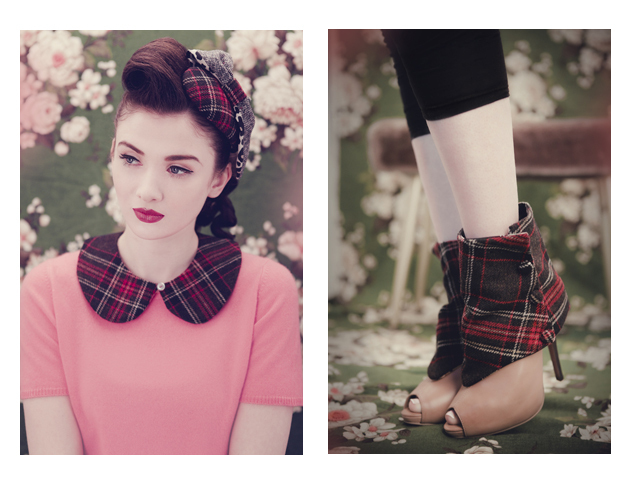 Here is a sneaky peek at a new addition to our line – Tallulah ankle spats! We’ll add some to our online shop soon as they also look fab over heels with bare, tanned legs! Oh the drama of a black veil and dark lips! What a beautiful weekend full of great vintage themed activities! Miss Wanda visited the WWII event at the Museum of flight on Sunday in a pretty tea dress and cropped army jacket with a little Harris tweed hat. She met many interesting reinactors, attended an entertaining talk on rationing and met the lovely Lucy Adlington who gave a spirited presentation about wartime weddings! 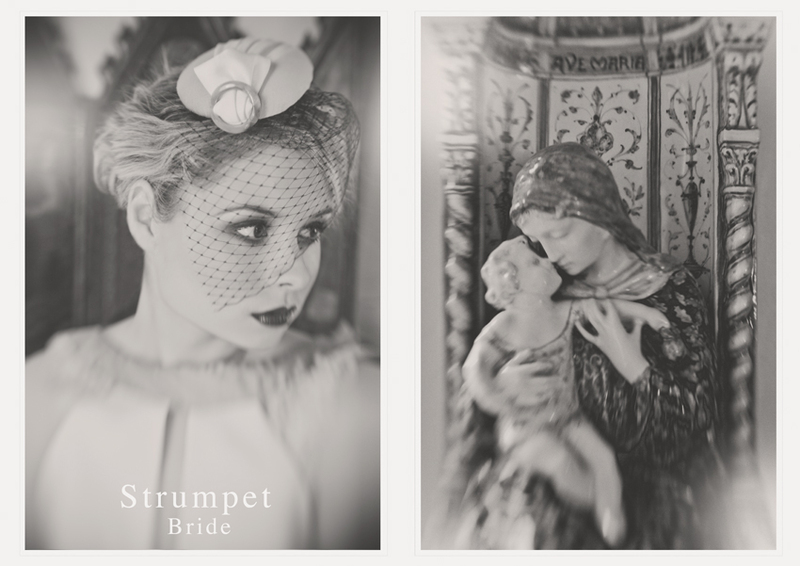 In the evening she sat finishing an intricate wedding headpiece whilst watching a Poirot marathon…hurrah! 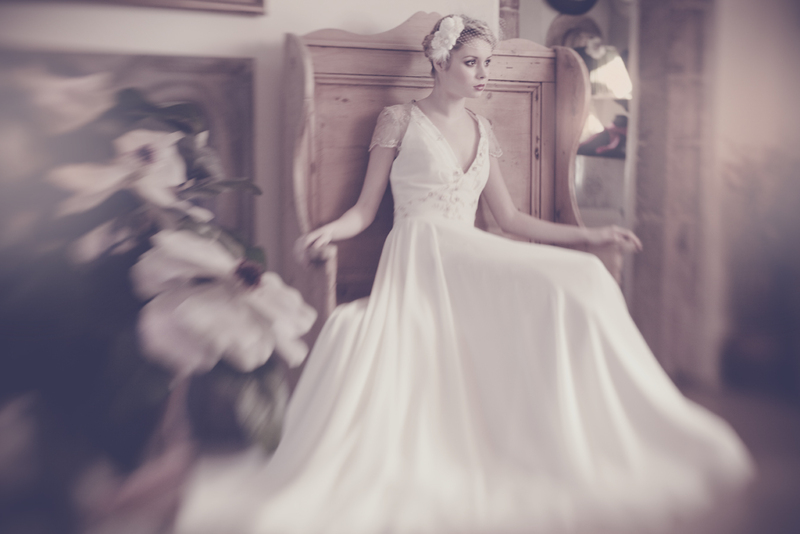 Miss Kitty was at an incredibly grand, three day Highland wedding party – what an opportunity to showcase three pieces from our new collection (which you will all be able to see here, very soon), drink many, many cocktails and ceilidh the nights away! She stayed in a fabulous castle, in a glamourous turret complete with a stuffed dog! But enough of our weekends and back to business, here is the first look at a piece from our Summer wedding collection. If you would like to order a piece for your wedding please contact us once you have chosen your dress – we can incorporate any fabric into the design. 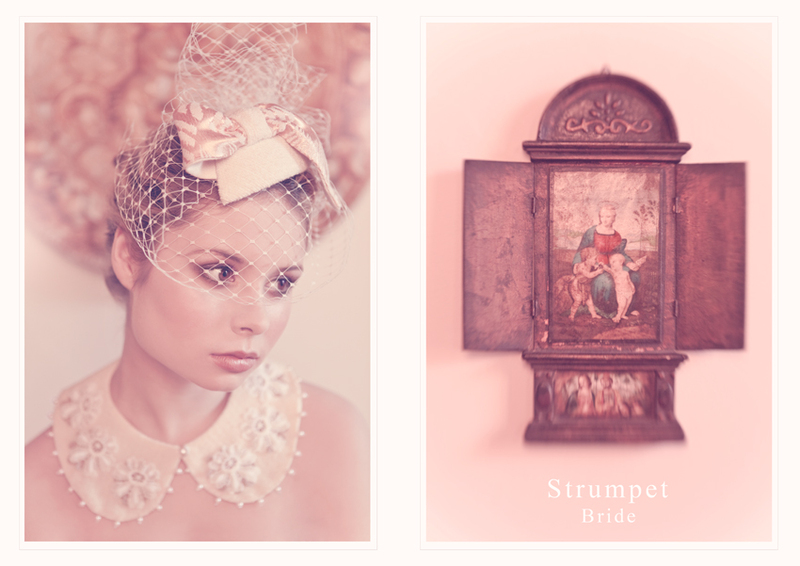 This hat is shown with a bespoke Peter Pan collar – it is beautiful worn with a strapless gown or can be made after the wedding from a piece of the train as a memento of the day.